Tofarco places great importance on well judged and careful recruitment, for the reason that we consider our staff the underlying force that drives the company’s success and vision towards future growth. We methodically screen job applications to ensure that the best qualified applicants are interviewed. 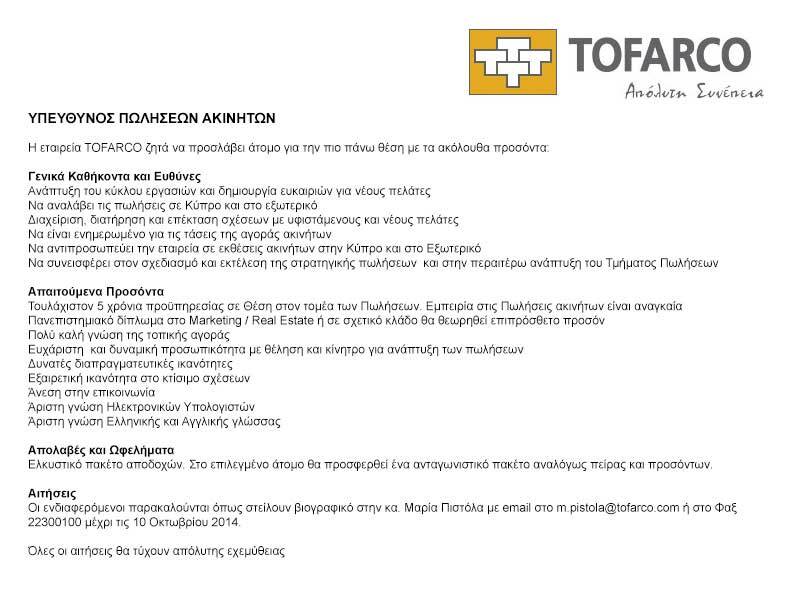 Tofarco is growing and future expansion will be embarked in a journey of success. Individuals who thrive on the base of competition and who like to challenge their abilities are invited to attach their C.V. and Cover Letter and expect a response soon.